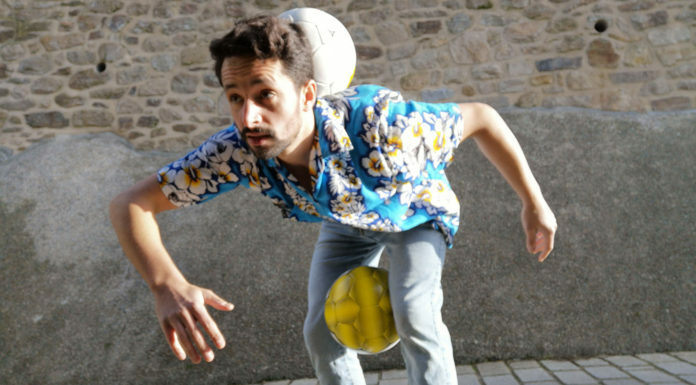 Jimmynho Lutumba, known as N’Zuzy Jimmy, is a very creative and memorable face in the street game. In addition to participating in giant tournaments like the World Street 3s and CPH Invitationals, he created Afro2Designz along with fellow ground mover Rodrigue Realise. This dynamic duo entertains and nutmegs audiences worldwide. These two against Copenhagen Panna House Kids squad member Noah Kofi is must-see TV! Los Angeles and Long Beach are coming up on the street scene with ballers all over the place. Kniko is only 19 but has been a recognized name in the LA streets for some time now. Honestly, with that wild hair you can easily pick him out of any crowd. His career achievements include doing a commercial with the Galaxy’s Gyasi Zarades as well as traveling to the Philippines to try out for a professional team. Baller alert! They say practice makes perfect. Kovács Krisztián is one hard-working Hungarian baller. His persistence in training has helped his growth within the sport. These small repetitive patterns are difficult to do since they require concentration to not mix up the flow. Next-gen Hungarians are looking beastly. Another member out of the infamous English Yo Street Zone crew, Peter Dandas really knows how to make the crowd scream in excitement. Dandas, who lives in the UK and is originally from Slovakia, made it to being top eight in the world last year. Now at 15 years old, he continues to ball out seeking higher results. From the land of Brussels, Belgium comes this young baller with serious ground move swag. On top of his consistent practice to perfect his arsenal of tricks, he has a gigantic collection of Monta balls and clothes. He wants to really develop his own style and be himself when he plays. He works hard every day to create new moves. Poland’s ballers have some impressive game to flash as well. Mateusz Wlodarczyk is relatively new to the street scene. He’s only been practicing his street skills for a year now and has been freestyling for 10 months. At 15 years old, he has already made it to the top 24 in the 1v1 Polish Panna Championship and second place in the 2v2 tournament. He likes to use the Finale 17 ball and prefers to have either the Puma Archive Lites or Adidas Stan Smith Primeknit Boosts on his feet. Luke Manandic is a slick 10-year-old that has better technique than most adults. In addition to his slick ground moves, Manandic has been practicing freestyle for just about a year now. He likes to wear Adidas Nemeziz shoes and uses the SISM Street Weapon ball to ruin his opponent’s day. It’s rare to see players bust out street moves on the big pitch with this kind of precision, especially when they are this young. KO by Akka. Cyprian Emil Gerard Mikita is a serious baller. He’s been freestyling for already four years now, but don’t underestimate his street skills. In freestyle, he has achieved the top eight in the Polish Championship and top three in Red Bull Street Style Belgium. He currently holds the trophy for 1v1 in Poland as a panna magician. Along with his talent in football, he also enjoys cinematography and photography. His favorite ball to play with is the orange Brazuca Europa ball and his favorite shoes are the Puma Archive Lite Low Mesh. Here’s another OG street monster that has been wrecking opponents with raw talent since day one. Zohair Arbib is only 22, but has been in the street game since 2008. Back then, he was known as “Zootje” and was one of the first members of the Junior Masters Crew led by Edward Van Gils. He gets his inspiration from Bencok and Shiou. Zohair has competed in competitions like CPH Invitationals where he lost against Bencok in the final 16. 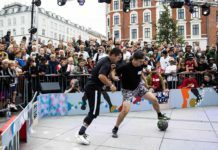 In 2014, he won the 2v2 European Panna Championship with Jeand Doest. He loves to “catch” his opponents with different mousetrap combinations. This new trick, the tornado, will spin you around so good that it may result in a face plant. Use caution when playing against Zohair. Pannastasia will end you. Anastasia Showler is taking the girl’s street game to another level. If you want to see what the next generation looks like, follow her journey. She practices in Washington state with various teams, coaches and fields. 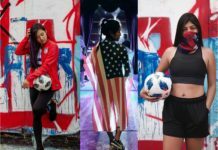 Her street and futsal game are excellent, from her strong flow to powerful pannas. Pannastasia teaches us to never underestimate your opponent. Want to be featured in a Top 10 Tekkers? 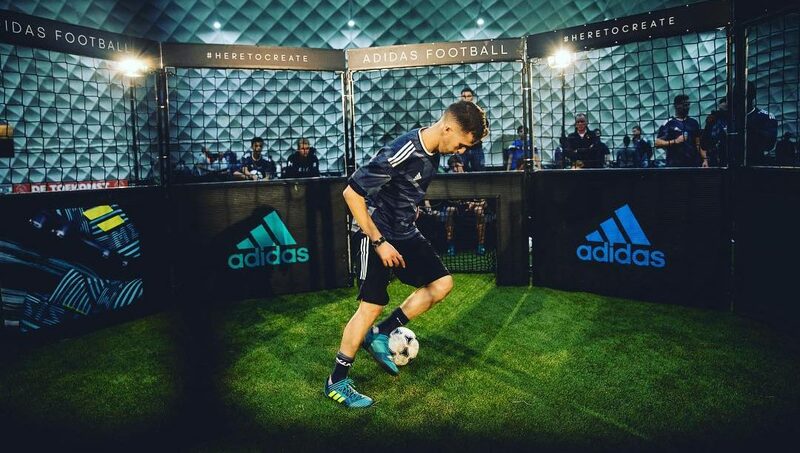 Tag us on Instagram and use the #urbanpitch and #top10tekkers tags on your posts!